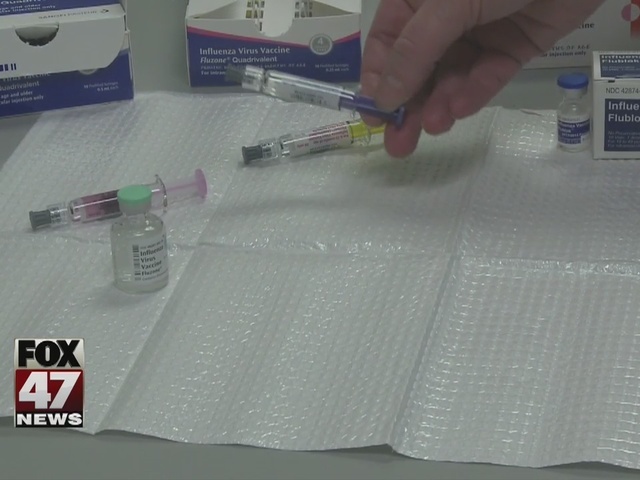 Families are getting ready for flu season, and they're starting to think about vaccinating their kids. "I'd rather be more safe than sorry," explains Sarah McKenzie. As McKenzie and Bryon Kavanagh look forward to this fall, they say they'll listen to their doctor when it comes to preventing the flu with their son. "Whatever the doctor recommends, cause they know a lot more about that than we do," they say. Most doctors will suggest getting a flu shot, especially for kids. "Children, young children, can also get serious complications and in fact death from the flu," states chief medical executive of the Michigan Department of Human and Health Services Eden Wells. But kids aren't the only ones who should get vaccinated, even if the flu season doesn't look bad. "It's still importatnt to get a flu vaccine regardless," says Wells, "even if this overall season looks mild it could be deadly to a person." Right now, MDHSS is doing its best to predict how this flu season will look, but says it's a bit too early to tell for sure. "Right now we don't anticipate any unusual strains or mismatches with the vaccine, but influenza keeps us always on guard!" claims Wells. What the department will do is collaborate with doctors across the country to be ready if anything different comes along. "We'll be testing every week across the nations," says Wells, "and letting people know if there's anything new that develops about the season." That way, everyone is prepared. "Everybody gets a shot, that shot should work, and we're going to hopefully have a nice, healthy winter for all of us."